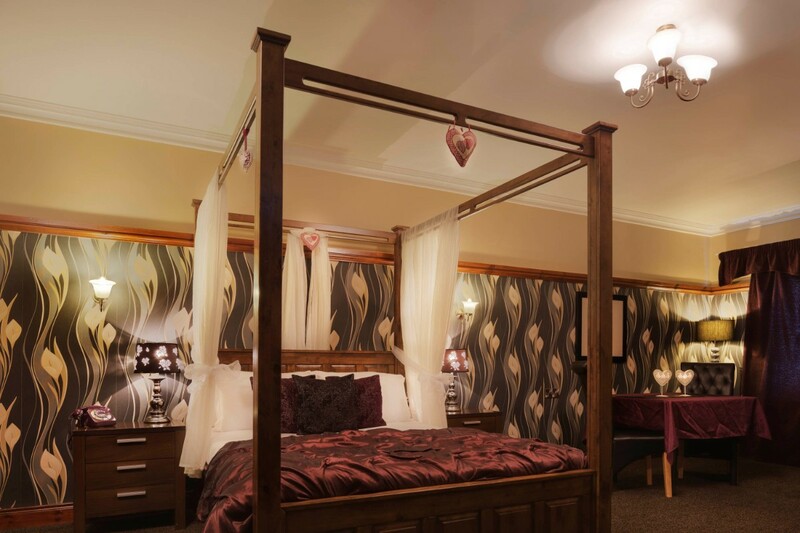 The Silver Tassie Hotel is the ideal Wedding Venue complete with brand new function suite. The Woodland Function suite offers a cosy and intimate area with its own private bar which is ideal for welcoming your guests before you are drawn into the magnificent 7,500 sq ft function room. The room acts as a wonderful backdrop for any occasion and can be made into more intimate setting for smaller weddings. 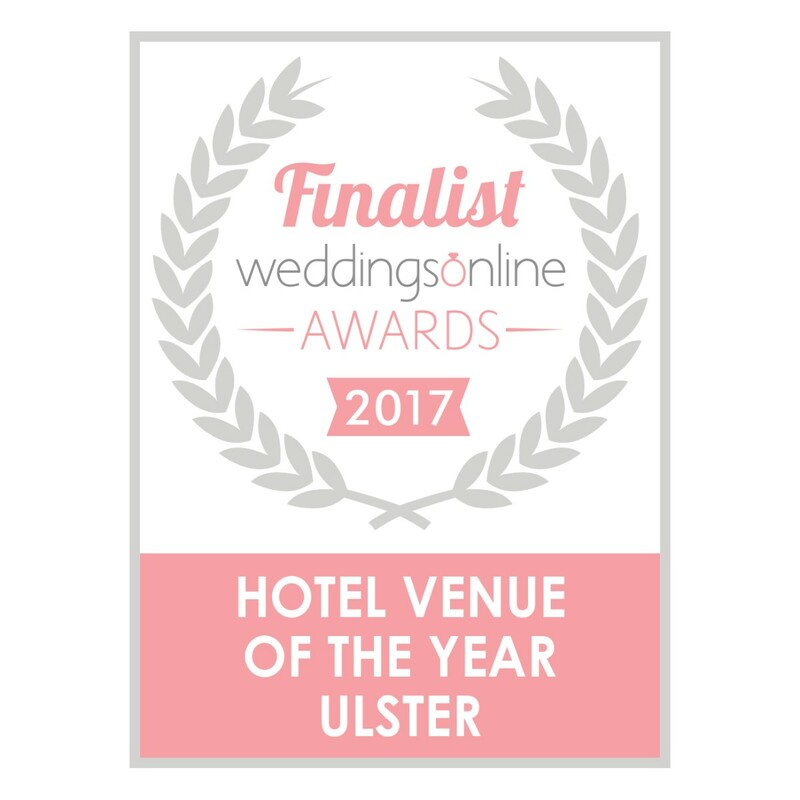 This suite has been described by wedding guests as “Classic”, “Elegant”, “Luxurious” & “Probably the best wedding venue in the Northwest”. 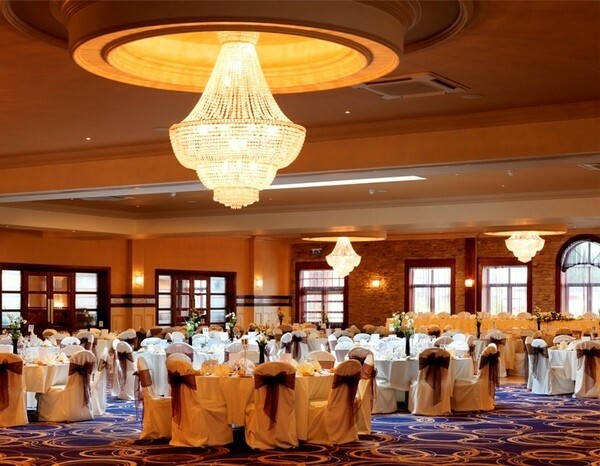 The most important reception you ever hold should be hosted in a venue that offers that wow factor and we feel confident that The Woodlands Function suite with its classic yet contemporary décor complete with serene colours and elaborate chandeliers won’t disappoint. 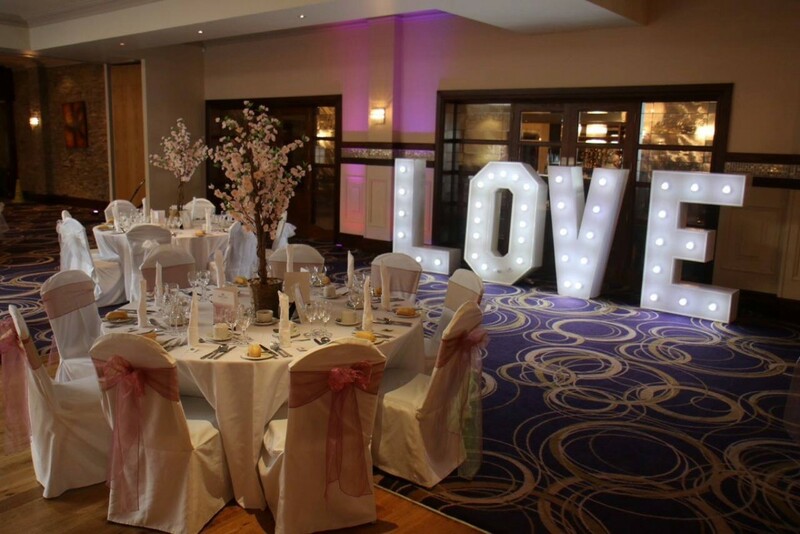 As well as a fabulous venue we offer a wide range of wedding packages to suit every taste & budget combined with delicious food and first class service, we will ensure your day is everything you dreamt of! The Silver Tassie Civil Wedding License means that you can both marry and celebrate your wedding reception at the Hotel. Our impressive venue will provide an intimate location where your wedding will be treated as the special occasion that it is. From start to finish our experience of planning our wedding with the Silver Tassie hotel was excellent! We knew as soon as we meet Georgina that the wedding was in safe hands, nothing was too much trouble and emails and questions were answered promptly. 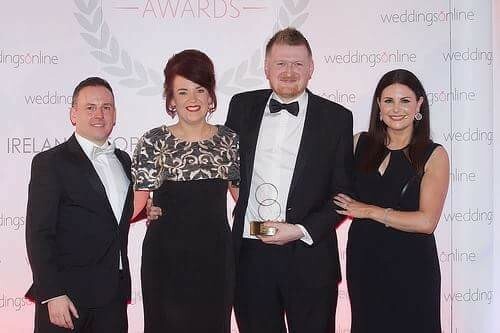 It came as no surprise to us when Georgina was named wedding coordinator of the year!!! The wedding day was co-ordinated perfectly, Georgina & John were both on hand on the day to ensure everything went to plan. The food was delicious, plenty of second helpings and the donut wall and evening buffet went down a treat! Our guests were highly complimentary of all the food and felt very welcomed to the hotel! We had several guests with food allergies and a few vegans and they complimented how well they were catered for with choices and servers that were mindful of their dietary requirements. Both Georgina & John kept the day flowing well and kept us on schedule! We were particularly impressed with the staff and their attention to detail, the woodland suite was dressed to perfection and all our little touches were displayed as requested. One guest told us of his delight when staff brought his dinner to his room when his daughter fell asleep during dinner! The after party was very relaxing in the front foyer with music and finger food, exactly what we wanted! Again we were surprised when John remembered to provide separate food at the afterparty for a few of our guests with dietary requirements! The accommodation and honeymoon suite were superb! We had a wonderful time and we are grateful to the Silver Tassie for delievering a wonderful wedding reception! Georgina & John are truly wedding experts! Where do I begin. I feel like I cannot rate the Silver Tassie enough. We had our wedding reception in the Silver Tassie on 9th November 2018. Georgina and the the staff were beyond exceptional, both in the lead up to the wedding and on the day itself. The food was superb and our guests have continued to reach out to us to express their compliments of the magnificent food and service on the day. My advise to anyone considering the Silver Tassie as their wedding venue is do not think twice. BOOK IT. You will not regret it. We will forever carry amazing memories of this excellent hotel and are already planning our future trips. I would like to say thank you and see you soon to all the staff. Lots of love Sinead and Joe O'Hara. L’équipe de mariage Silver Tassie est vraiment la meilleure du secteur. Nous avons planifié notre mariage en vivant à l’étranger, ce qui n’est pas une tâche facile, mais John et Georgina ont tout simplifié. Rien n'était trop pour eux, tout ce que nous avons demandé, ils ont trouvé un moyen de le faire. Honnêtement, je ne saurais trop trop recommander cet hôtel. Tous nos invités ont commenté la qualité de la nourriture et du service. Ils vont vraiment au-delà et je suis tellement content que nous les ayons choisis pour notre journée. I could not recommend the Silver Tassie enough. From the moment we walked in it felt like home. Georgina and John were so helpful and couldn't have done enough for us. All our guests were amazed by the hotel and haven't stopped talking about the amazing food. I just want to do it all over again. Thank you so much for everything, you all were amazing. Love Ann and Paul. Myself and Eamonn would like to thank Georgina and all the staff at the Silver Tassie for all their help leading up to our wedding, we had the best day. The food and service was excellent. We would highly recommend this venue. Myself and Damian would like to thank the Silver Tassie for our wedding what a fantastic day everything was 100% from the food, and the way everything was left out for us attention to detail was great couldn’t fault a thing can’t give enough stars here special thanks to John the wedding coordinator we got vip treatment from start to finish. highly recommend!! Megan & Richard, Thank you both for taking the time to write this review so soon after your wedding. We really appreciate all your kind words of your special day. You both were an absolute pleasure to work with and I hope you are both enjoying married life together and we look forward to welcoming you back to The Silver Tassie Hotel & Spa in the future. All the best Georgina, John & The Silver Tassie Team. Eamon and I decided to pick the Silver Tassie for our wedding after spending a night at the hotel. We had a lovely meal and decided this would be the perfect venue for our wedding. From the moment we met John the wedding coordinator we knew that nothing would be a bother, everything we asked for was provided by John and his staff, every time we called into the Silver Tassie for an update on our wedding plans we were greeted with complimentary tea and coffee. We chose the silver package which was well worth the extra expense. It meant that on the day of the wedding we had nothing to do but turn up !! We could not have asked for a more perfect day, the rooms provided both the complimentary and the bridal suite were excellent, we can't recommend this hotel enough, perfect location and surroundings, food and service outstanding, can't wait to return for our first wedding anniversary. We could not fault the service at the Silver Tassie, from first viewing the hotel John and Georgina were always at hand to assist us should we need it. We had the opportunity to sample the food prior to choosing our wedding menu, thank god as we ended up changing everything we had envisioned once we tried the food. The wedding day itself was perfect! Just perfect! From arriving at the venue we were treated by Georgina and shown the room to ensure we were happy with everything. The food was served so quickly and efficiently, my mum commented on how amazing Georgina was in ensuring everyone had their food and offering alternatives to guests. The food itself was out of this world (our guests are still talking about it). The presentation of the desserts omg! If we could do it all over again we would pick the Silver Tassie all over again!! Thank you John and Georgina you both truly made our big day even more special. We had our wedding on the 31st of August and could not fault a thing from beginning to end. Our wedding Co-Ordinator Georgina along with John was great .Georgina is just fantastic and made everything so easy from the day we booed nothing was any trouble always on hand to answer any queries we had .She is a complete professional and an absolutley lovely person .On the day of the wedding everything was amazing from being greeted to the canapes dinner and the late night buffet.everything was first class Our guests still talk about how great a day it was and said it was the best wedding dinner they had been to in a long time.They complimented on how professional and speedy each table was served. we cannot thank the staff and management enough and especially Georgina for such a wonderful day. All our thanks Martina and John. Michelle & Robert, On behalf of John & Georgina thank you so much for your fantastic review. I am thrilled that you had the wedding day of your dreams with us here at The Silver Tassie Hotel & Spa. Thank you for your kind words on the level of service provided to you by our very dedicated staff who strive always to provide the best possible customer service, we are very proud of each member of the team here who always sets such a good example. We look forward to welcoming you both back to the hotel. All the best Georgina, John & The Silver Tassie Team. Id like to thank the Staff of the Silver Tassie for making mine and Liam's day the most amazing day of our lives. Truly incredible staff and great hospitality for all of our guests. Food was amazing, not 1 fault on the day. Especially a big thanks to Georgina and John who made sure everything was more than perfect. Absolutely brilliant venue for a wedding . Great food beautiful venue . Great care and attention given to everything . Couldn't recommend highly enough . John and Georgina brilliant at their job . There are not enough positive words to describe how amazing the Silver Tassie is. Not just on our wedding day but for the whole 5 days we stayed there. The staff were all so friendly and helpful. Nothing was too much trouble. They made us and our guests feel special the whole time. On our wedding day the service was out of this world. We didn't have to worry about a single thing. They took care of every thing. Georgina even helped me into my wedding dress!! The food was exceptional the staff again were amazingly attentive and helpful. I felt like royalty for the day. John and Georgina made sure everything was exactly as we wanted it and they were happy to accommodate our last minute room change too. All our guests were remarking at how fabulous the staff were. I honestly wish I could relive the day again and again. Looking forward to coming back to the Silver Tassie for our anniversary and renewal in years to come. We got married at the Silver Tassie this August and we couldn't have been happier with how everything went. The staff honestly couldn't have done more for us and bent over backwards all day to make sure everything was perfect. From the moment we arrived at the hotel to the moment we left it felt like nothing was too much trouble. Our guests and our family all had an amazing time and we didn't have to worry about anything. Georgina and John were brilliant throughout the planning of the wedding and were always quick to offer help and advice. They have a real wealth of knowledge and experience and were constantly on hand for whatever we needed. Particularly on the day, Georgina went above and beyond what we could reasonably have expected and made sure we and all our guests could enjoy the day. I can’t recommend the Silver Tassie enough for a wedding. We had our wedding reception there on the 4th of August and the guests are still talking about how it was the best wedding they were ever at. The food was top class and the service was next to none. I am a very fussy person and I wanted things a certain way for my special day, I was a bit anxious handing over control to Georgina the day before the wedding but everything was exactly how I wanted it. I can’t thank the staff enough for making our wedding day really and truly the best day. Jenna & Packie, Thank you both so much for such positive & inspiring feedback of your big day! From the beginning of the planning process, it was nothing short of a pleasure to work closely alongside yourselves for your special day. Georgina & John are only to happy to offer their help and assistance to ensure you both had a truly magical day. Our wedding team are delighted to receive such positive feedback. We will be sure to pass on your kind words to our Head Chef. We hope to welcome you back to The Silver Tassie Hotel again soon. All the best, Georgina, John & The Silver Tassie Team. Trying to plan a wedding is difficult enough, yet we planned our wedding while living in England which had its own difficulties. Without the help of both John and Georgina at The Silver Tassie Hotel we wouldn't have had such an amazing day with our family and friends. Considering how we didn't have the opportunity to just drop into the hotel when we wanted, the communication with John and Georgina at every point of the wedding planning was without fail professional and comforting knowing that people who cared about us and what we would like was planned into detail without any problem. Whether it was a simple email asking a few questions they always replied back to us with what we needed or offering other solutions that we hadn't thought about. On the run-up, John and Georgina would remind me of what was left to finalise, something I really appreciated since there is so much to do for every couple that it is easy to lose track of what's left to do. Even the simplest of things like choice of music to enter into hadn't even crossed our minds, yet again they were on hand with ideas to help us out. On the day itself, both of them were on hand which again made us feel so relaxed knowing that not one but both of them were there to help if needed. It's so easy to lose track of what's happening as you get taken into a whirlwind of excitement, enjoying the moment and realising how wonderful our day had been while looking around at all our family and friends in the one place for a happy occasion. From being greeted on arrival with champagne, our entrance into the reception, the meal which no one could fault, a special shout out to the chef who designed my husband's special dessert for his food intolerances thank you! Looking after our guests so well, the staff who were wonderful with our guests too which really makes a difference, how well timed the whole evening was, the wonderful breakfast the following morning. I could go on and on, but there isn't enough thank you's! I would highly recommend the silver tassie hotel. We had our wedding ceremony and reception in the hotel and it was perfect. We planned our wedding from abroad, Georgina was so helpful and made it very easy for us. We cannot thank her and John enough for everything. 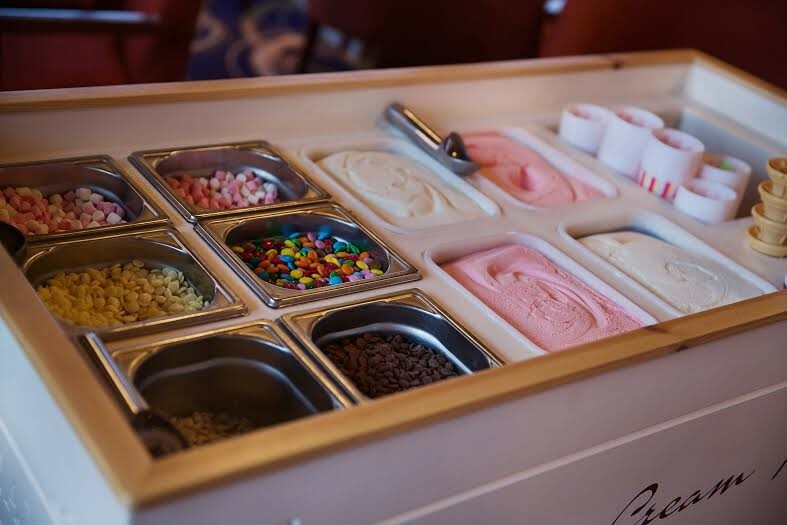 The attention to detail was amazing and all our guests had such good things to say. Ashy & Paul, On behalf of John Georgina & the team we are so thrilled to read such an amazing review. We are genuinely chuffed to bits that your day went so well. We are always only to happy to offer our help and assistance and you both were a pleasure to work with.Thank you for choosing the Silver Tassie Hotel & Spa for your special day and we all look forward to welcoming you back for your 1st wedding anniversary. Best Wishes Georgina, John & Silver Tassie Team. Myself and my new husband chose The Silver Tassie as our wedding venue (20.07.2018) Our wedding co-ordinator was the amazing Georgina ... from day one nothing was too much , any queries were answered straight away,she came up with unique ideas , advised us on various aspects of the day and overall was an absolute god send - I cannot thank her enough, she is a complete professional , a beautiful person and she really does go above and beyond. On the day itself the food (from the donuts and canapés , the dinner right through to the late night snacks was absolutely superb- our guests still talk about the amazing meal and how all the tables were served in such a structured and timely manner. We had a lot of guests travel and stay in the hotel for the weekend and all I can say is each and everyone of them complimented the amazing staff within the hotel from the bar staff, waiters through to reception staff every single one was so friendly and attentive and couldn’t do enough to help out. We would highly recommend this venue they go above and beyond and are in a league of their own when it comes to weddings...5 star service all the way ... thank you all so much for making our day unforgettable. We loved every minute ???? Maggie & Aidan, Thank you so much for the outstanding review. My response will not do your five star review justice so all I can say is thank you from the bottom of my heart. Its a pleasure to read a review that compliments the staff in such a wonderful fashion. We will always do our best to create the prefect venue and atmosphere for all our couples...we understand that we were chosen to be part of one of the most special days in your life, meaning that the staff and wedding team ensured that the venue met the required style and ambiance for your dream day. All the best always, Georgina, John & The Silver Tassie Team. 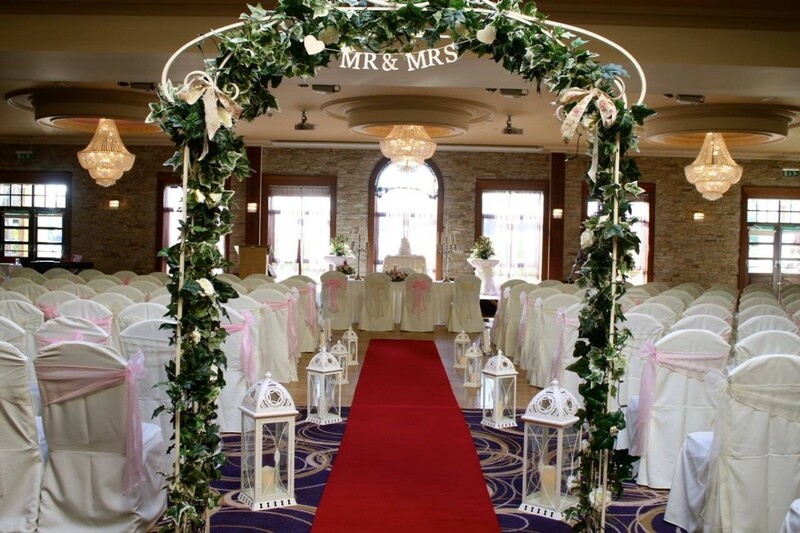 My husband Matthew and I had the most wonderful wedding here at the Silver Tassie in Letterkenny. From day one it was a great experience getting to know Georgina and John. No query was too big and nothing was amiss. Their professionalism filtered down to the catering staff and was exceptional in making this day a truely marvellous experience. The hotel surpassed our already high expectations and ensured every desire was met and catered for. The food was second to none and all dietary requirements were fully catered for without any fuss which put everyone at ease. When it came to the morning after, the staff were so friendly and squaring the bill up was made so much easier knowing how interested Georgina was in our afterthoughts, feedback and overall experience. Matthew and I are truely privileged to have had the Silver Tassie host our wedding reception. Thanks again for helping create the greatest day of our lives. Aisling & Damien, thank you so very much for this glowing review. We were honored to host your big day here with us and we are delighted you had such a positive experience with us. We are very dedicated to creating a stress free, easy wedding planning experience for our bridal couples. We place a huge priority on weddings as it is our passion and we therefore ensure that each and every wedding at The Silver Tassie Hotel & Spa is delivered to an exceptional standard. 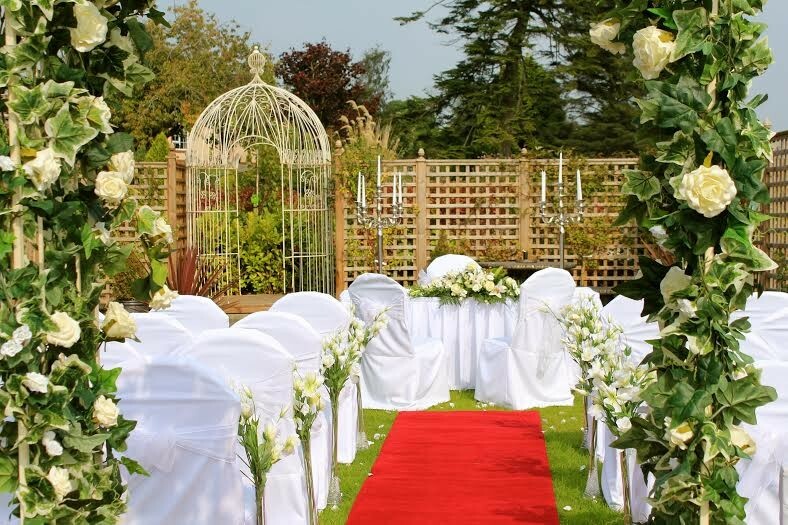 Georgina & John's passion for weddings certainly comes across in all their dealings with bridal couples to ensure a personalised, attentive and customer focused service. We are extremely delighted to hear that every member of our team looked after you both and your guests attentively. On behalf of Georgina & John may we wish you both many years of happiness in your married life together. Orla & Cormac, thank you so very much for this glowing review. We were honored to host your big day here with us and we are delighted you had such a positive experience with us. We are very dedicated to creating a stress free, easy wedding planning experience for our bridal couples. We place a huge priority on weddings as it is our passion and we therefore ensure that each and every wedding at The Silver Tassie Hotel & Spa is delivered to an exceptional standard. On behalf of Georgina, John & The Silver Tassie Team may we wish you both many years of happiness. I was so excited to tell people that we were having our wedding reception in the Silver Tassie Hotel and rightfully so. From start to finish. I’ve never experienced anything so wonderful, elegant, stylish, modern in my life and what was so important to me that the food was outstanding. My guests couldn’t compliment their day enough which made me so happy. Our wedding was made so special from the expertise and professionalism from the staff but I will be forever complimenting the special treatment, guidance, care, expertise and outstanding work ethic received from the very talented Georgina and John. They were completely amazing. Thank you to everyone at the Silver Tassie Hotel and spa for making my wedding reception a day for all to remember. We would like to thank the Silver Tassie for the fantastic service received on our wedding day. No matter what we asked for it was never a problem and the staff could not do enough for you, especially Georgina, she was always on hand to answer any questions we had and help out where possible. There has been a lot of compliments on the wedding dinner and we would definitely recommend the Silver Tassie. Thank you again for providing a perfect, stress-free day for myself and Aidan. Many thanks to everyone at The Silver Tassie Hotel for making our wedding day an absolute dream! Right from the beginning, Georgina and John were professional, experienced and very helpful. Nothing was a problem and every request was catered for, which made the wedding planning process very easy for us. On the day, the staff were incredible, the food was amazing, and the venue was everything we’d hoped for and more. Thanks again! Laura & Ciarán, On behalf of John Georgina & the team we are so thrilled to read such an amazing review. We are genuinely chuffed to bits that your day went so well. We are always only to happy to offer our help and assistance and you both were a pleasure to work with.Thank you for choosing the Silver Tassie Hotel & Spa for your special day and we all look forward to welcoming you back in the future. Best Wishes Georgina, John & Silver Tassie Team. I can’t thank John & Georgina enough for giving Lee & myself the most amazing wedding day. In the lead up to the wedding day both John & Georgina went above and beyond and helped us plan all the extra details. Anything we asked for they gave us, they were more than accommodating. They really took the stress out of the wedding planning. Even with very last minute drop outs they handled it so professionally, even when the kids started to get a bit restless, Georgina was hands on to help get my son get a seat at the top table with us and bring up his dinner. The whole atmosphere of the Silver Tassie is very warm and welcoming and from the first day i sat down with John discussing my options I knew I wanted to get married here. All the staff at the Silver Tassie do an amazing job and any future brides and grooms will not be disappointed. Thanks again to all the staff for giving us an amazing wedding day and for all the help, advice, tips and hands on help with all the planning. Lee & myself really appreciate all of it. Thank you! Had an absolutely fantastic day and night in the Tassie for my wedding in March. All the days leading up, John & Georgina were always available and responsive to everything we asked. Even the day leading up to the wedding we had some last minute cancellations, they re-worked the tables and helped us out. The room looked fantastic with all decorations beautifully in place. During the day Georgina was in communication with us for anything we needed, also working hard behind the scenes to make sure everything went to schedule. Couldn't recommend the Tassie, the food and the team more. Excellent! Shelly & Alan, Thank you both so much for such positive & inspiring feedback of your big day! From the beginning of the planning process, it was nothing short of a pleasure to work closely alongside yourselves for your special day. We are delighted to receive your feedback & were very happy to have been of assistance to you for your special day. We will look forward to seeing you back in The Silver Tassie Hotel for your first year wedding anniversary! All the best Georgina, John & the Silver Tassie Team. We had our wedding here on the 2nd off March I would like to thank Georgina and the team so much for all there help and doin an amazing job to make our day so special. Clare & Pádraig, thank you so much for such amazing words, and on behalf of the entire team here at The Silver Tassie Hotel, we send our warm wishes & heartfelt thanks. We are delighted to hear that every member of our team looked after you and your guests attentively, we have a good crew here & we aim to please! We look forward to welcoming you and your guests back at any stage. It was lovely meeting you both and you both were a pleasure to work with. All the best always, Georgina, John & The Silver Tassie Team. We had our wedding in the silver tassie hotel in January 2018. Georgina was absolutely fantastic from start to finish. She made us feel very welcome, couldn't do enough for us. The contact was fantastic as no matter what time I emailed about a query I always got a fast detailed response which was great. The ceremony room was done beautifully, and the food was gorgeous and still have people commenting on it which is great. 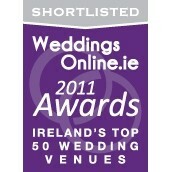 I would recommend the silver tassie and their wedding team to anyone. Karen, Thank you so much for your beautiful review. We were truly honoured to host your special day and we are delighted that it was all you hoped for and more. You were a pleasure to work with and on behalf of myself and all in The Silver Tassie Hotel I wish you both a lifetime of happiness and I do hope we welcome you both back again soon. Georgina, John & The Silver Tassie Team. We organised our wedding from America and honestly, we could not have done so without the help of the Silver Tassie staff. Anything we asked for was never an issue, Silver Tassie has weddings week after week but on our day they made us feel that we were the most important wedding that year. I have no doubt they put as much energy and perfection into each and every wedding celebrated there ?? We cannot thank John & Georgina enough for everything they have done for myself and my husband on our wedding day. They went above and beyond to make our wedding reception the most perfect and memorable day of our lives. 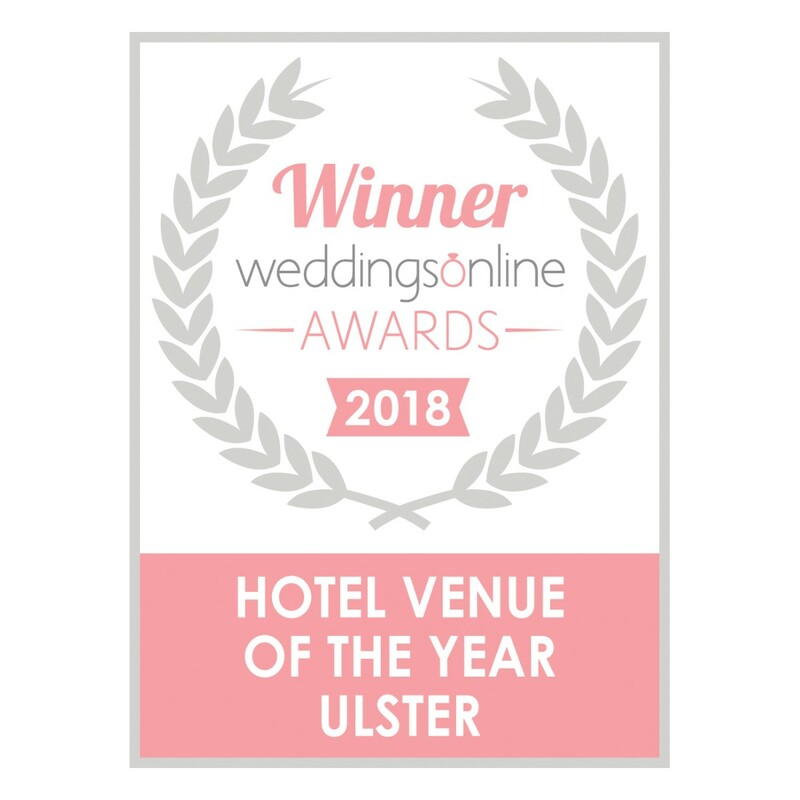 We couldn’t have asked for better hospitality, we were given the most friendly and professional service and I cannot think of anywhere else that deserves this award more. I had the most amazing white Christmas wedding in the fabulous Silver Tassie, from day one meeting with John I knew straight away that this was the venue for us. John and the staff couldn’t do enough for us nothing was a problem and they saw to everything, all the expert advice and guidance helped our wedding to run smoothly. The food was just outstanding, everything was so fresh and so delicious I had to pinch myself to make sure it was all real, and even to this day everyone that came still talks about the food and the atmosphere and how helpful and kind and happy all the staff were. It’s a fantastic wedding venue and I couldn’t recommend it enough. Myself and Jonathan had our wedding reception here on 14th October 2017. To say this venue is amazing is an understatement. From the first day we went to view the venue we were made feel right at home. John, Georgina and all the staff were so helpful with no problem to big or too small. Every effort was made by them to make our day extra special and their efforts and hard work did not go unnoticed by anyone. Our guests had so many compliments on the venue, decor, staff and the food. The meal was out of this world. We had a few extra dietary requirements but this was not an issue at all. John kept great contact with our band to ensure everything was running on time so we did not have to leave our guests to organise the smaller details. The sweety cart and evening buffet were a delight to all the guests with plenty to go around and just when everyone thought it was over the bacon butties arrived. This was most impressive to the guests that still remained. I honestly cannot thank John, Georgina and the staff at the silver tassie enough for their help, support and hard work. I wish them continued success in the future and hope they continue to received many deserved awards. Aileen and Jonathan Mc Glinchey. Aileen & Jonathan, On behalf of John Georgina & the team we are so thrilled to read such an amazing review. We are genuinely chuffed to bits that your day went so well. We are always only to happy to offer our help and assistance and you were a pleasure to work with.Thank you for choosing the Silver Tassie Hotel & Spa for your special day and we all look forward to welcoming you back for your first wedding anniversary. Best Wishes Georgina, John & Silver Tassie Team. We got married in this wonderful hotel 7/10/2017 and it was without a doubt the best day of our lives. From the very beginning of our planning the wedding coordinators were on hand to help with every detail. Particular thanks goes to Georgina, such an absolute pleasure to work with. So friendly, professional and seems to really enjoy her job! The day itself was flawless, our room was decorated beautifully and friendly staff on hand to assist with anything. Very well organised and everyone at the wedding has said it was the best meal they have had. The food was delicious, large portions and even seconds were offered to all. Couldnt have faulted anything. Would highly recommend the Silver Tassie to anyone, be it for a wedding or a night away. All the staff will go out of their way to ensure you have the best stay possible. Thanks you so much for the outstanding review Edel, my response will not do your five star review justice so all I can say is thank you from the bottom of all our hearts. Its a pleasure to read a review that complements the staff in such a wonderful fashion. 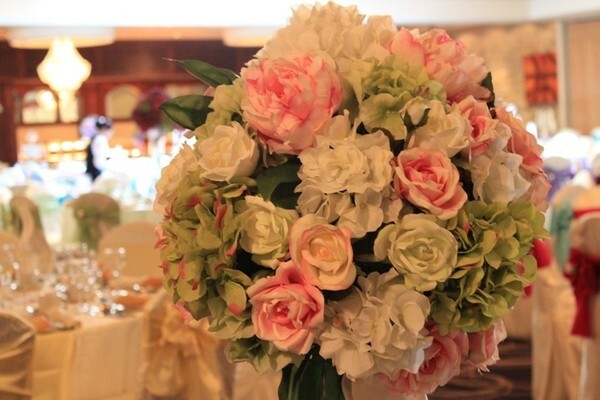 We will always do our best to create the prefect venue and atmosphere for all our couples...we understand that we were chosen to be part of one of the most special days in your life, meaning that the staff and wedding team ensured that the venue met the required style and ambiance for your dream day. All the best always, Georgina, John & The Silver Tassie Team. Where do I begin.... 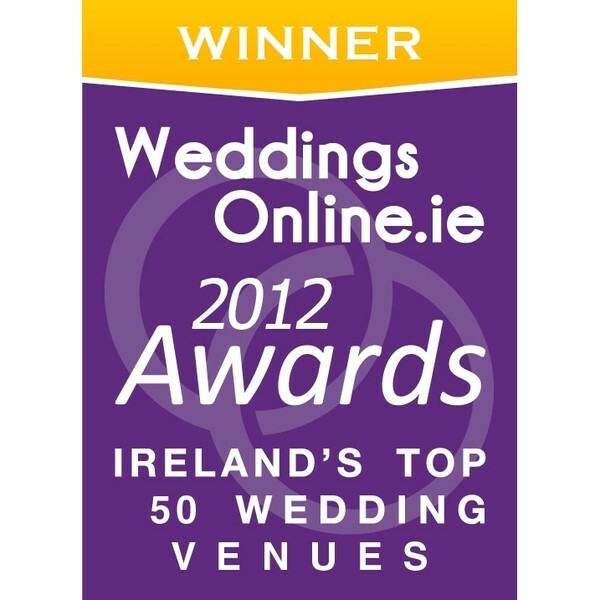 If you are looking for a wedding venue in Donegal... look no further. Who knew organising a wedding from a different country was so hard. But nothing was too much for Georgina or John. A quick email or phone call and everything was sorted effortlessly. Also worth mentioning that if Georgina was off... John was around or vice versa which meant someone was accessible 24/7 which is great when organising a wedding when you're not in the country. From the early stages of planning, to the post wedding care, the service at The Silver Tassie is 2nd to none. The food is class. I don't think the Scottish guests had ever had so much food at a wedding. The staff are very polite and accommodating. The rooms are lovely. I also used the spa for make up and massage for pre wedding nerves and the hair salon for after wedding treats and it was all fabulous. Handy all being on the same site. I wasn't expecting the wee sparklers for the pudding... but when you spend the last few months organising a wedding it's nice to have a wee surprise or 2 thrown in your way. This time last week I was preparing for our wedding and I would do it all over again.... And wouldn't change a thing. Don't hesitate. The Silver Tassie will give you an unforgettable and effortless wedding day. Hayley, Thank you both so much for such positive & inspiring feedback of your big day! From the beginning of the planning process, it was nothing short of a pleasure to work closely alongside yourselves for your special day. We are delighted to receive your feedback & were very happy to have been of assistance to you for your special day. We will look forward to seeing you back in The Silver Tassie Hotel and on behalf of Georgina, John & the Silver Tassie Team may we wish you both many years of happiness in your married life together. We had our wedding reception in The Silver Tassie Hotel Letterkenny just over a month ago on 15th September 2017 and we couldn'tve have had a better day! Every aspect of our reception was first class and everything ran so smoothly thanks to Georgina and John. Lovely people but professional, know their job 100% but very friendly with a personal touch. Anyone that has got married knows it can be stressful! But I hadn't to stress one bit about the reception from the minute we booked! Georgina kept me right and nothing was a bother really helpful and kept me right! Venue is a beautiful setting we just loved the fact it is one wedding a day so the hotel was ours so to speak for that one day! Food and service was amazing my guests all raved about how good a day it was best wedding they've ever been to and fabulous food especially the Parsnip and cumin soup! We loved every minute of our day and so did our guests what more could you ask for!!?!! Bridgeen thank you so very much for this glowing review. We were honored to host your big day here with us and we are delighted you had such a positive experience with us. We are very dedicated to creating a stress free, easy wedding planning experience for our bridal couples. We all as a team of course place a huge priority on weddings as it is our passion and we therefore ensure that each and every wedding at The Silver Tassie Hotel & Spa is delivered to an exceptional standard. 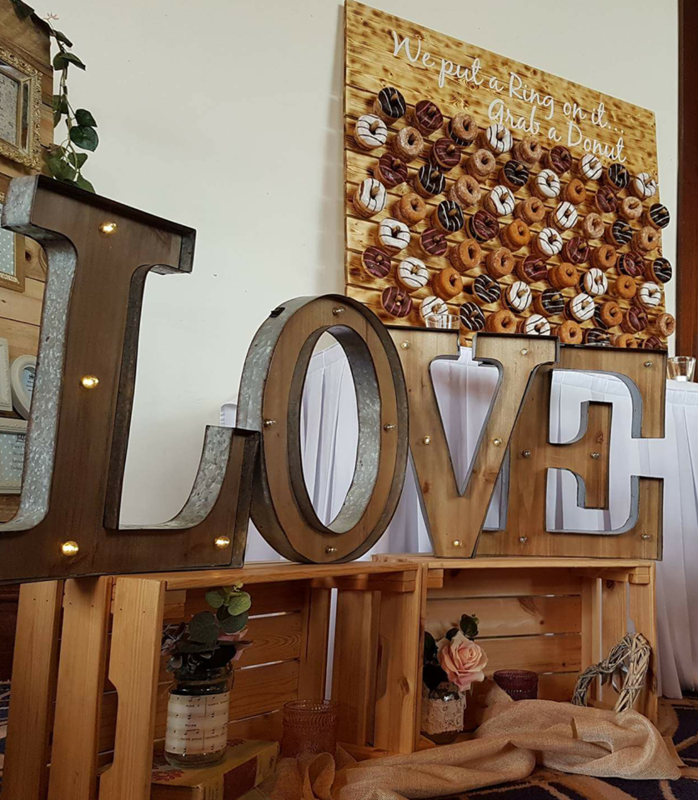 Georgina & John's passion for weddings certainly comes across in all their dealings with bridal couples to ensure a personalized, attentive, customer focused service. Your comments regarding the food (Esp the Parsnip & Cumin Soup) have been passed to our head chef who strives always to deliver the best quality dishes. On behalf of Georgina & John may we wish you both many years of happiness in your married life together. We had our wedding in silver tassie on September 7th. I couldn't have asked for anything to have been better. From the first moment we booked John and Georgina couldn't have done anymore to help us and make our day as stress free as possible and helped us every step of the way. The compliments we got from our friends and family about the hotel,the staff and the service were amazing. They truly are the best in the business at what they do and I couldn't thank them enough for our perfect wedding day. Amy, Thank you so much for your beautiful review. We were truly honoured to host your special day and we are delighted that it was all you hoped for and more. You were a pleasure to work with and on behalf of myself and all in The Silver Tassie Hotel I wish you both a lifetime of happiness and I do hope we welcome you both back again soon. Georgina, John & The Silver Tassie Team. Gareth, On behalf of John Georgina & the team we are so thrilled to read such an amazing review. We are genuinely chuffed to bits that your day went so well. We are always only to happy to offer our help and assistance and you both were a pleasure to work with.Thank you for choosing the Silver Tassie Hotel & Spa for your special day and we all look forward to welcoming you back in the future. Best Wishes Georgina, John & Silver Tassie Team. We had our wedding in the Silver Tassie on Friday 1st September. We cannot recommend this hotel highly enough. Georgina and John are simply outstanding at their jobs and are so professional and helpful. Such a well run hotel with wonderful staff who take great pride in their work. Pauline, Thank you both so much for such positive & inspiring feedback of your big day! From the beginning of the planning process, it was nothing short of a pleasure to work closely alongside yourselves for your special day. We are very dedicated to creating a stress free, easy wedding planning experience for our bridal couples. Georgina & John will always do their best to create the prefect venue and atmosphere for all our couples...we understand that we were chosen to be part of one of the most special days in your life, meaning that the staff and wedding team ensured that the venue met the required style and ambiance for your dream day. All the best always, Georgina, John & The Silver Tassie Team. Amanda, Thank you so much for your fantastic review. I am thrilled that you had the wedding day of your dreams with us here at The Silver Tassie Hotel & Spa. Thank you for your kind words on the level of service provided to you by our very dedicated staff who strive always to provide the best possible customer service, we are very proud of each member of the team here who always sets such a good example. Planning your wedding was most enjoyable for me personally and I am very pleased that you found it so stress free especially considering you were planning from Australia. I hope to see you back again soon, maybe on your next visit home. All the best Georgina, John & The Silver Tassie Team. We would like to give a huge thank you to everyone at the Silver Tassie for making our wedding day a very happy and special occasion. John and Georgina were so professional and approachable about every little aspect of our wedding reception. We could not recommend the Silver Tassie enough to couples looking for a wedding venue, the food, the setting and the staff are second to none! Lucinda & Gary, Thank you so much for such amazing words, and on behalf of the entire team here at The Silver Tassie Hotel, we send our warm wishes & heartfelt thanks. We are delighted to hear that every member of our team looked after you and your guests attentively, we have a good crew here & we aim to please! We look forward to welcoming you and your guests back at any stage. It was lovely meeting you both and looking after your wedding. Georgina & John will always do their best to create the prefect venue and atmosphere for all our couples...we understand that we were chosen to be part of one of the most special days in your life, meaning that the staff and wedding team ensured that the venue met the required style and ambiance for your dream day. All the best always, Georgina, John & The Silver Tassie Team. Lindsay & Colin, Thank you so much for your fantastic review. I am thrilled that you had the wedding day of your dreams with us here at The Silver Tassie Hotel & Spa. Thank you for your kind words on the level of service provided to you by our very dedicated staff who strive always to provide the best possible customer service, we are very proud of each member of the team here who always sets such a good example. Planning your wedding was most enjoyable for me personally and I am very pleased that you found it so stress free especially considering you were planning your wedding from abroad. We look forward to welcoming you both back to the hotel. All the best Georgina, John & The Silver Tassie Team. I could not rate the Silver Tassie highly enough for our wedding in August 2017. Being a local I never expected anything short of perfection - any Letterkenny person will tell you; "you can't be a Tassie wedding"! But my husband is a Dubliner and we also had people travel from Monaghan, Tipperary, Limerick and the UK and our guests were bowled over by the the Donegal hospitality and in particular, the food! People told us they'd seen had a spread like it and the dessert buffet table was the day's highlight for everyone! In the planning phase we were still living in Sydney so I had to do a lot of organising over email and through late night phone calls. John and Georgina were amazing to deal with. No problem was a problem, no issue phased them. We quite literally had the best day of our lives and loved every second of it and so much of that is down to the attention to detail, experience and professionalism the Tassie exude with any function they host. But there is no doubt about it - they know weddings the best! What an amazing venue. We had an amazing experience here on 29/7/17. Georgina was fantastic and such a homely hotel. All our family and friends could talk about was the food! How much there was and how brilliant it tasted. We stayed the two nights and couldn't have been treated better. I would love to do it all again. It's a credit to the owners as they have an amazing set up and even speaking to their staff you can tell how much they love working there. I would highly recommend booking this as a wedding venue. We had our wedding in the silver tassie and from the first day viewing it and talking with Georgina the wedding coordinator, we fell in love with the hotel. The staff especially go above and beyond for every guest nothing was too much trouble. On the day of the wedding they make sure everything runs smoothe from the table planning the first dance ...the food is unbelievable every single guest said it was the best food they ever had at a wedding. They made our day magical. This hotel is amazing and the staff go over and beyond to make your wedding day amazing. Got married in July and we loved every minute of it. The food was first class and the service faultless. 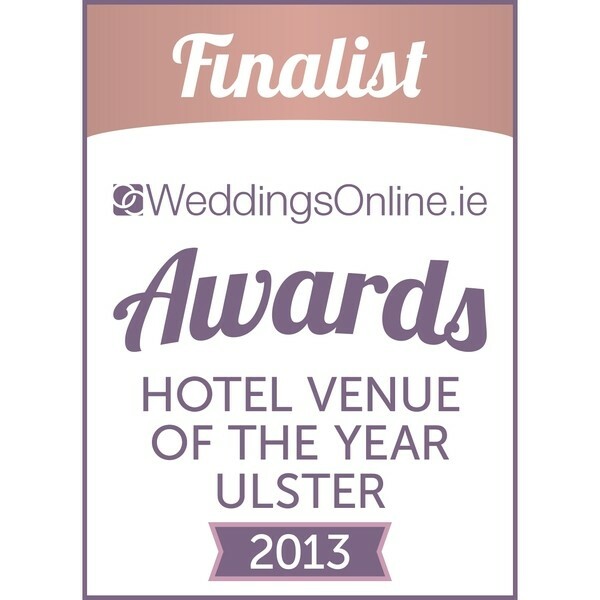 A fab hotel for a wedding and would recommend it to anyone. Lisa, Thank you both for taking the time to write this review and we really appreciate all your kind words and wonderful account of your special day. I hope you are both enjoying married life together and we look forward to welcoming you back to The Silver Tassie Hotel & Spa in the future. All the best Georgina, John & The Silver Tassie Team. John, Georgina and all of the staff at the silver Tassie hotel and spa could not have been more helpful. As soon as we booked we could relax knowing that we were in good hands. John and Georgina couldn't do enough for us. They kept our planning on track and were always there to answer any questions or to give advice when it was needed. No detail was over looked and no request was too big. The chef and all the catering staff produced an exceptional meal that all our guests were raving about. If you're looking for an excellent Wedding venue with superb service I couldn't recommend the Silver Tassie highly enough. Nicola, thank you so very much for this glowing review. We were honored to host your big day here with us and we are delighted you had such a positive experience with us. We are very dedicated to creating a stress free, easy wedding planning experience for our bridal couples. We all as a team of course place a huge priority on weddings as it is our passion and we therefore ensure that each and every wedding at The Silver Tassie Hotel & Spa is delivered to an exceptional standard. On behalf of Georgina, John & The Silver Tassie Team may we wish you both many years of happiness. Cannot recommend the Silver Tassie enough!! Daniel and I got married on 24th June this year, Georgina and her team where amazing from start to finish. Anything we asked for was never a bother even in the lead up to the wedding which made things so easy for us. We have done nothing but rave about the Silver Tassie since then and our guests have constantly been telling us they've never been to such a great wedding with amazing food. Our Journey with the Silver Tassie started back in late 2014 when we set our date to get Married in June 2017. We knew instantly that the Silver Tassie was for us, first impressions count for alot. We were shown the Ballroom and went through our options of the menu choice that suited us and our budget, there choice and variety was second to none. As time grew closer to our Wedding date Georgina was on the ball arranging meetings to set our dinner menu and other arrangements and ideas we had. Nothing was a bother or hassle. Sorting our Guests out with rooms for that night. On our wedding day, as soon as we landed to the Silver Tassie we just had this sense of relaxation and calm of knowing everything looked amazing, the picture of perfection, more than we had ever imagined. To see us and most importantly our guests be looked after so well. Food was delivered out piping hot, delicious, and on TIME. Our meal was the talk of our Wedding. For any future Bride and Groom, I cannot recommend the Silver Tassie enough, the attention to detail, ideas, and recommendations from the best Wedding Co-Ordinator ever. You will not be disappointed. 5 stars all the way . Georgina was absolutely amazing at organising our venue for our wedding and the wee touches that made the day . The staff also could not do enough for us . Georgina communicated with me regularly and put me at ease the whole time as I knew that everything would be taken care of at a high standard . 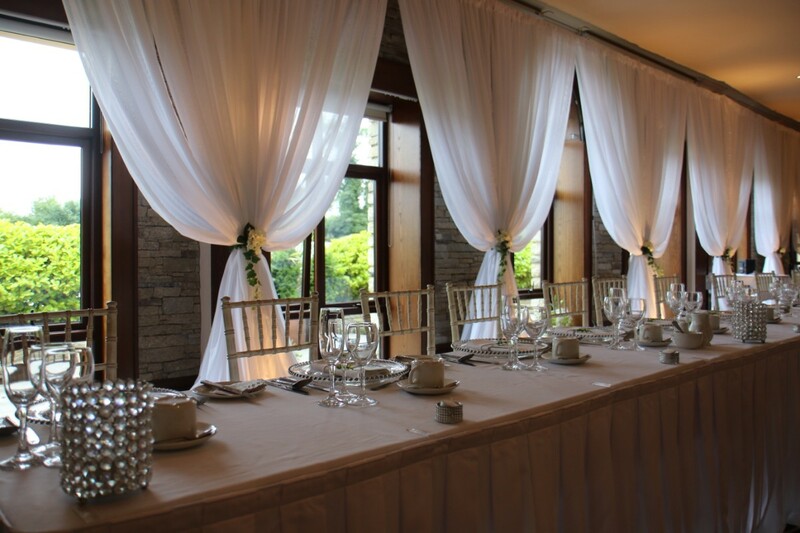 The venue itself is out of letterkenny nested in beautiful countryside , lovely for weddings. The food at the silver tassie was the best I have ever had and the guests still comment on how good it was . Everyone was had a great day and had a love.y weekend . Thank you for all your help Emma Bradley Wedding date ~ 10/06/17. I would highly recommend the Silver Tassie Hotel for a wedding. The food and service was outstanding. Georgina and John very helpful. Lorraine, On behalf of John Georgina & the team we are so thrilled to read such an amazing review. We are genuinely chuffed to bits that your day went so well. We are always only to happy to offer our help and assistance and you were a pleasure to work with.Thank you for choosing the Silver Tassie Hotel & Spa for your special day and we all look forward to welcoming you back for your first wedding anniversary. Best Wishes Georgina, John & Silver Tassie Team. Our wedding at the silver tassie could not have been more perfect- all the staff made us feel so welcome and they went above and beyond to meet any request that we had- making our special day everything we ever dreamt of! Almost 6months later our friends and family still comment on the venue and the 5star food they received! We could not recommend a better hotel! We cannot thank the Tassie enough for making our wedding so amazing! Georgina was brilliant the whole way through the planning & made sure everything ran smoothly on the day! Georgina, John, Ciaran & every single member of staff made us, our family & friends feel so welcome for the whole weekend & could not do enough for us! Would highly recommend the silver tassie to anyone getting married! The food, setting & service was all 5 star we couldn't have wished for anymore. 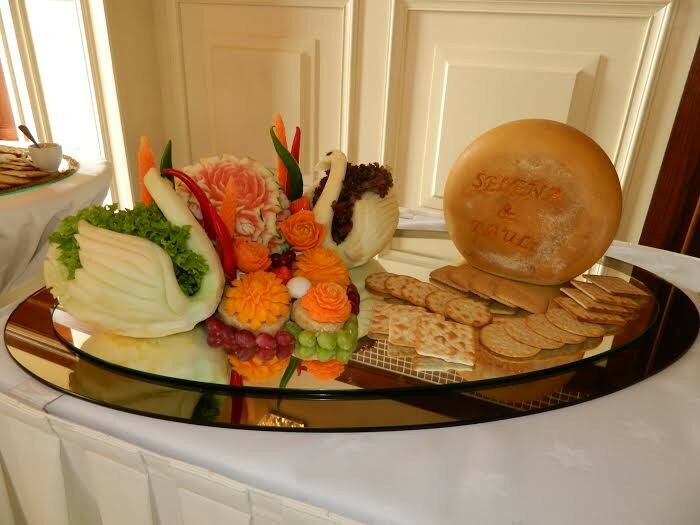 We had been going to the sliver for years before we got engaged we love the exclent food and the warm and relaxed atmosphere, so when we got engaged there was only one place we would of had our wedding reception at and that was the Tassie. From our first meeting with Gorgena we knew our wedding reception would be like no other wedding reception we have ever been at. The choice of different packages was great and I loved that we could give our guest stakes for there dinner. Gorgena was full of ideas and nothing was a bother or too crazy an idea for her. I was in constant contact with her in the run up to the wedding and she was always available. On our wedding day the guest were happy and comfortable and one thing I must add is the bar staff. Most hotels never have enough bar staff on for wedding but the sliver Tassie always have plenty of good hard working bar staff that know what there doing. Waiting staff were plentyfull as Well. The food was amazing and plenty of it. And to this day I have had many people come up to me and say it was the best wedding reception there were ever at and the best dinner of any wedding there were ever at. I could not praise the Sliver Tassie enough they made our wedding flow smooth and I did not have to worry about a thing. I would recommend the Sliver Tassie to anyone who is getting married it is a beautiful hotel with a stunning large room and brilliant staff. Jolene and myself celebrated our wedding at the Silver Tassie on the 10th March, and the only word to describe our experience is "AMAZING". From start to finish the Silver Tassie have been warm and welcoming, with nothing been a bother, especially Georgina who has been brilliant, having made everything straightforward and hassle free. Both the venue and the food were beautiful, and we are delighted with the response from our guests who have complimented us on the Silver Tassie, saying it's the best wedding they've ever been at, where service and food was excellent, served piping hot to 214 guests in less than 15mins. We would highly recommend the Silver Tassie, and if we could do it again would change nothing, we can genuinely say the Silver Tassie has made this the best day of our life's. Thank you for everything. We got married in silver tassie a few weeks ago and loved every minute of it. Gerogina and John were more than helpful and all the staff were very attentive. We couldn't have asked for better service with our food and the staff made us feel very relaxed. We would highly recommend the silver tassie for your wedding reception. We will definitely be back for a nice relaxing weekend and good food. Kerri & Ciaran,Thank you so much for your fantastic review. I am thrilled that you had the wedding day of your dreams with us here at The Silver Tassie Hotel & Spa. Thank you for your kind words on the level of service provided to you by our very dedicated staff who strive always to provide the best possible customer service, we are very proud of each member of the team here who always sets such a good example. We look forward to welcoming you both back to the hotel. All the best Georgina, John & The Silver Tassie Team. Sonya & Liam, Thank you for this lovely review. It was a pleasure to look after you both and your guests on what was an amazing day. We wish you both so much happiness as you embark on life's great adventure together and remember there is always a special place for you here at The Silver Tassie Hotel & Spa. All the best Georgina, John & The Silver Tassie Team. Hi Jamie & Daniel Thank you so much for your kind words. We are so happy to hear that you enjoyed your special day. Wishing you both all the very best for the future and we hope to see you again soon. All the best Georgina, John & The Silver Tassie Team. Maresa & Stephen, Thank you both so much for such positive & inspiring feedback of your big day! From the beginning of the planning process, it was nothing short of a pleasure to work closely alongside yourselves for your special day. Our wedding team are delighted to receive such positive feedback. We will be sure to pass on your kind words to our Head Chef Karl .We hope to welcome you back to The Silver Tassie Hotel again either on the first year anniversary or before! All the best, Georgina, John & The Silver Tassie Team. Martina & Niall, Thank you so much for your beautiful review. We were truly honoured to host your special day and we are delighted that it was all you hoped for and more. I have passed along your compliments to all involved and I know your glowing review will mean a lot to all our staff. It was our pleasure for the Silver Tassie Hotel to host your special day! You were a pleasure to work with and on behalf of myself and all in Tassie Hotel I wish you both a lifetime of happiness and I do hope we welcome you back again soon. Georgina, John & The Silver Tassie Team. We had our Wedding in the Silver Tassie Hotel on October 29th 2016 - -The best day of our lives! The whole day went so well and really I couldn’t have asked for a better day! We have had endless comments about how good the food was and the service was impeccable, being attentive but not too obvious or overbearing. It was really nice to arrive at the Hotel and instantly feel like everything was under control, Georgina especially made me feel like she was completely in control and I thought she did a fantastic job. 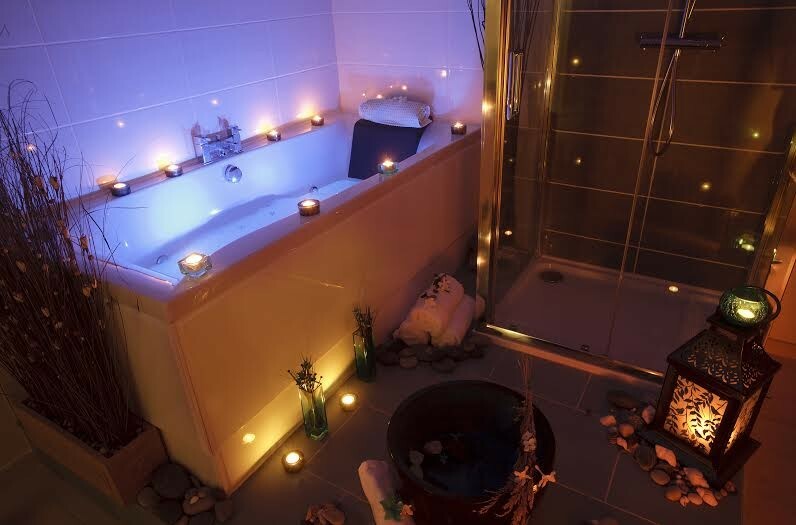 People have also been raving about how beautiful the room looked, we couldn't of had better. So many people have said it has either been the best wedding they have ever been to or that the food has been the best they’ve ever had at a wedding, and really that's the most important thing on the day. We have fantastic memories to see us into married life – and we thank the Silver Tassie for their part in that! Christina & Shaun, thank you so much for such amazing words, and on behalf of the entire team here at The Silver Tassie Hotel, we send our warm wishes & heartfelt thanks. We are delighted to hear that every member of our team looked after you and your guests attentively, we have a good crew here & we aim to please! We look forward to welcoming you and your guests back at any stage. It was lovely meeting you both and looking after your wedding. All the best always, Georgina, John & The Silver Tassie Team. Fiona & Glen, Thank you so much for your beautiful review. We were truly honoured to host your special day and we are delighted that it was all you hoped for and more. It was our pleasure for us to host your special day! You were a pleasure to work with and on behalf of myself and all in The Silver Tassie Hotel I wish you both a lifetime of happiness and I do hope we welcome you both back again soon. Georgina, John & The Silver Tassie Team. What can I say this place is unbelievable John and Georgia had everything down to a tee for us nothing was an issue, as myself being coeliac the food was perfect and beauitful. I would highly recommend the silver tassie for your wedding venue. 1st class wedding venue. If I could gave a higher rating it would be 10/10. We had our wedding at the Silver Tassie on 18th August 2016. From our first appointment to visit the venue and hotel to meeting with the John & Georgina to book the Silver Tassie as the venue for our wedding day the team could not have been more helpful. John & Georgina were so approachable and accommodating ensuring we were happy with everything and contacting us intermittently to check how our plans were coming along. No request was too big or too small and they made sure our day was planned exactly how we wanted it. The venue and staff on the day were perfect, the food and service was amazing and our guests had the best day. This was down to wedding teams planning as John and Georgina ensured before hand that they knew what we wanted and they made sure we knew what was happening which allowed everything to run like clockwork on the day. I cannot recommend the Silver Tassie highly enough for the efforts they made and the beautiful setting in which we spent our wedding day. Our guests still talk about the amazing food and how there was more than enough for everyone and the staff were always on hand for anything that was needed, especially for anyone with dietary requirements. The bridal suite was gorgeous and the other hotel rooms were so bright, clean and spacious. The team even accommodated my dog in a storage area at the back of the hotel where he stayed during the evening and that night and it is the smallest touches that made the biggest impression. The Silver Tassie has definitely left a big impressions with myself, my husband and our guests and we look forward to returning for a meal on our first anniversary. Orla, On behalf of John Georgina & the team we are so thrilled to read such an amazing review. We are genuinely chuffed to bits that your day went so well. We are always only to happy to offer our help and assistance and you were a pleasure to work with.Thank you for choosing the Silver Tassie Hotel & Spa for your special day and we all look forward to welcoming you back for your first wedding anniversary. Best Wishes Georgina, John & Silver Tassie Team. We really cant be grateful enough for how well the silver tassie looked after us on our wedding day. On your wedding day you have to let everything out of your own hands and hope for the best. We really were amazed by all Georgina's hard work. She have everything perfect for us. We never felt we could not ask for something and in all the planning she was lovely to deal with. The staff are more than accommadating and we really can say we felt like so special over our weekend. The food, the drink the atmosphere, it was all perfect. The silver tassie is a beautiful venue and we are delighted with how our wedding went and we are so glad we chose the tassie. Amanda & Shaun, thank you so much for such amazing words, and on behalf of the entire team here at The Silver Tassie Hotel, we send our warm wishes & heartfelt thanks. We are delighted to hear that every member of our team looked after you and your guests attentively, we have a good crew here & we aim to please! We look forward to welcoming you and your guests back at any stage. It was lovely meeting you both and you both were a pleasure to work with. All the best always, Georgina, John & The Silver Tassie Team. Karen, Thank you both so much for such positive & inspiring feedback of your big day! From the beginning of the planning process, it was nothing short of a pleasure to work closely alongside yourselves for your special day. We are delighted to receive your feedback & were very happy to have been of assistance to you for your special day. 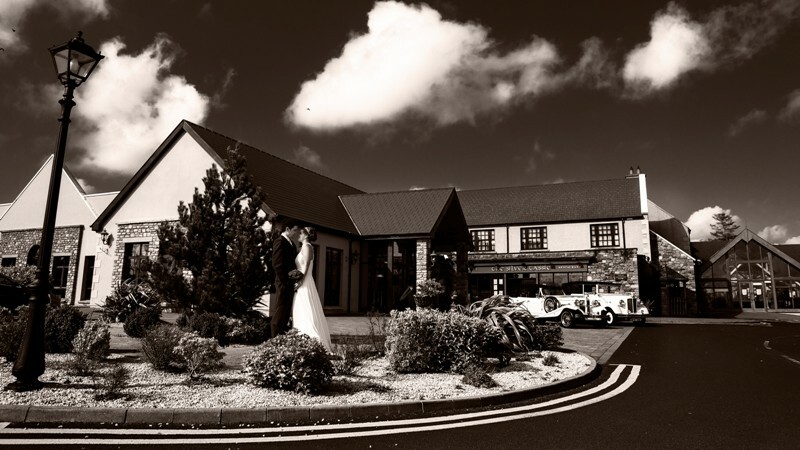 We will look forward to seeing you back in The Silver Tassie Hotel for your first year wedding anniversary! All the best Georgina, John & the Silver Tassie Team. Lisa & Aidan, Thank you so much for your beautiful review. We were truly honoured to host your special day and we are delighted that it was all you hoped for and more. It was our pleasure for the Silver Tassie Hotel to host your special day! You were a pleasure to work with and on behalf of myself and all in Tassie Hotel I wish you both a lifetime of happiness and I do hope we welcome you back again soon. Georgina, John & The Silver Tassie Team. I would have no hesitation in highly recommending your hotel to our friends. Your professionalism & attention to detail was wonderful. We have received so many compliments from our guests on the great food and hospitality they experienced also and we wanted to pass them on. If we could do it all again, we would not change a thing"? Kind regards? My wedding was on 10th Aug 2012 and I must say from the moment I booked it I felt very confident everything would be perfect on my day. On the day everything was amazing from the moment I stepped into the hotel the room was stunning staff were so friendly the guests still to this day talk about the fantastic meal I would highly recommend this hotel to everyone. 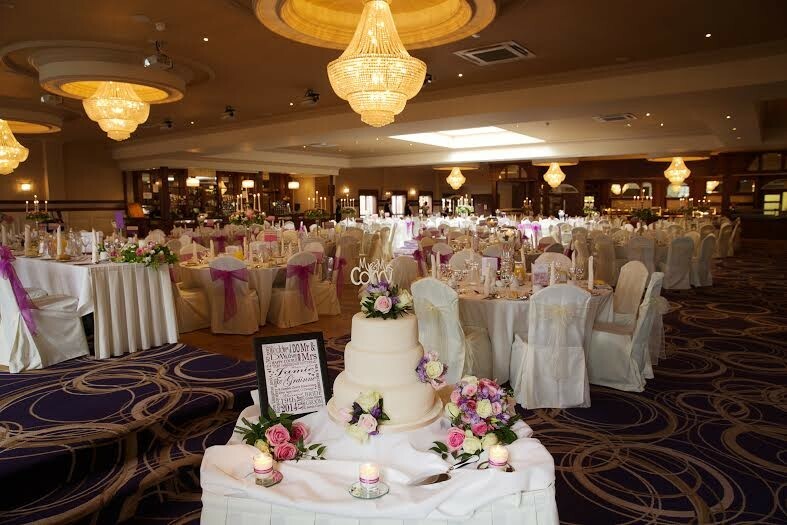 We had a wonderful wedding reception with great professional service provided by the staff which made our day perfect and would like to thank Ciaran Blaney for overseeing all the wedding arrangements which took a lot of the stress away from us. The food was fantastic and has been a talking point of wedding for weeks and it was great to be in the hands of people who care."? Many Thanks?